I hope you had a wonderful Thanksgiving, Taylor, and have a great weekend! We are having unseasonably warm weather in the part of Texas I live in. But I'm not complaining and I love it! However, I'm ready to hunker down and spend the winter reading and writing next to a cozy fire!!! (so I guess my house is my book fort!!) Love your comment, Laura! I can see myself nestled comfortably in there. 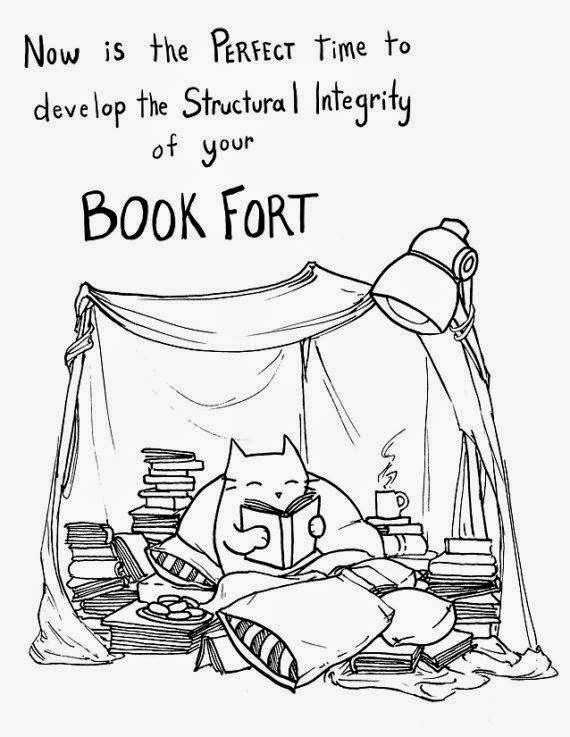 ^_^ My recliner is my book fort. I surround myself with all the necessary things - my laptop, my kindles, my notepad, my tv, a comfy fire, a drink and a snack. Did I miss something important? Hope your holidays were full of family and fun. Sounds perfect, Sherry! You didn't miss a thing!! I think you just described my "happy place!"